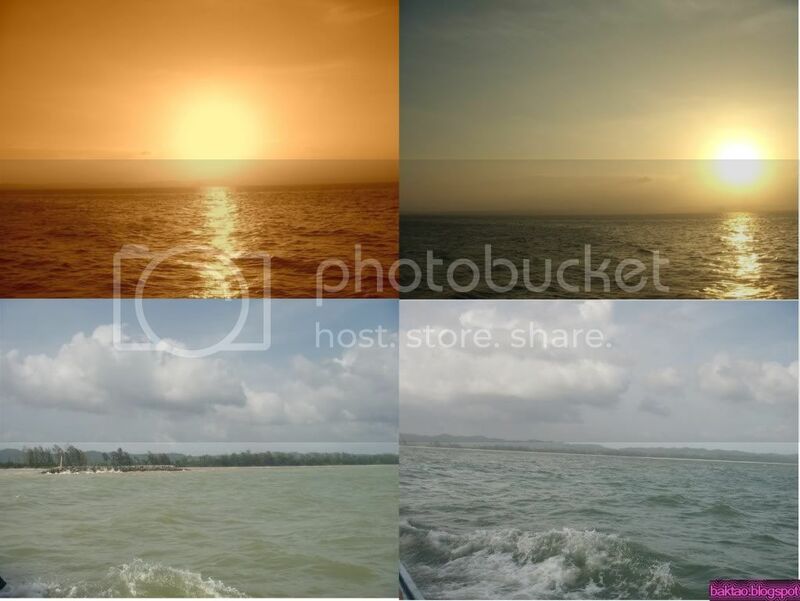 25 - 27 December Sibu Kelong: Monsoon? What Monsoon?! 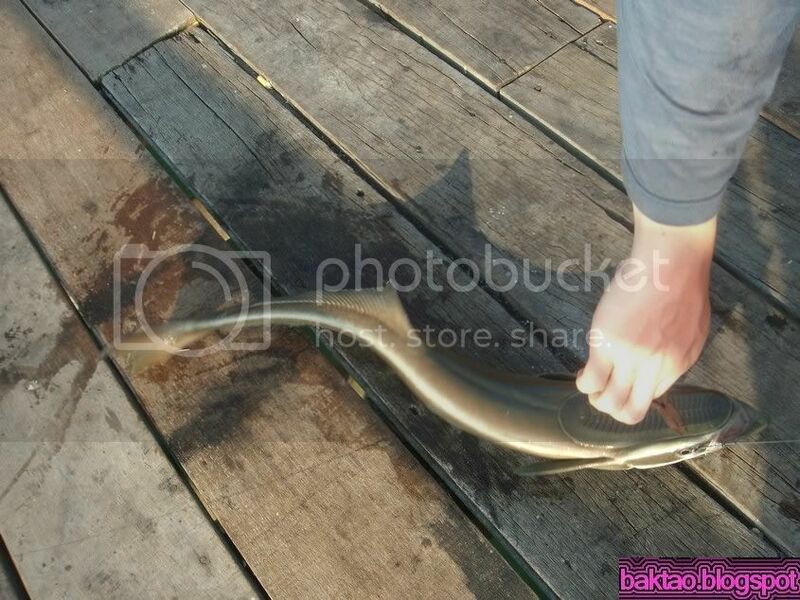 Another trip to the Sibu Kelongs was on the cards. We were planning to catch the long Christmas weekend. 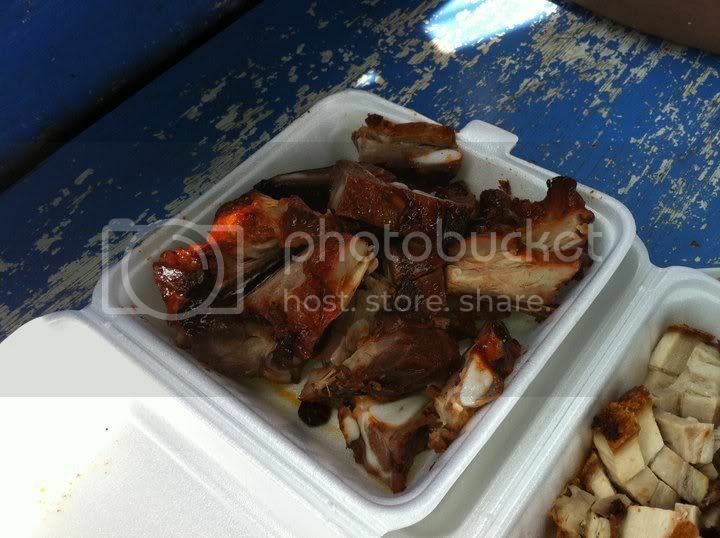 6 of us were joining Cheong’s kakis which numbered some 50 pax. Some arrangements were made and some old friends were reunited. 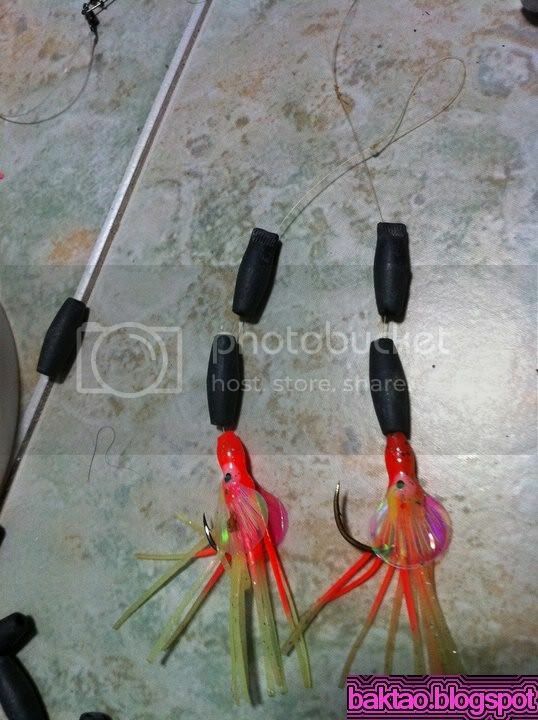 I made some last minute designs on a sinker with a rubber squid. 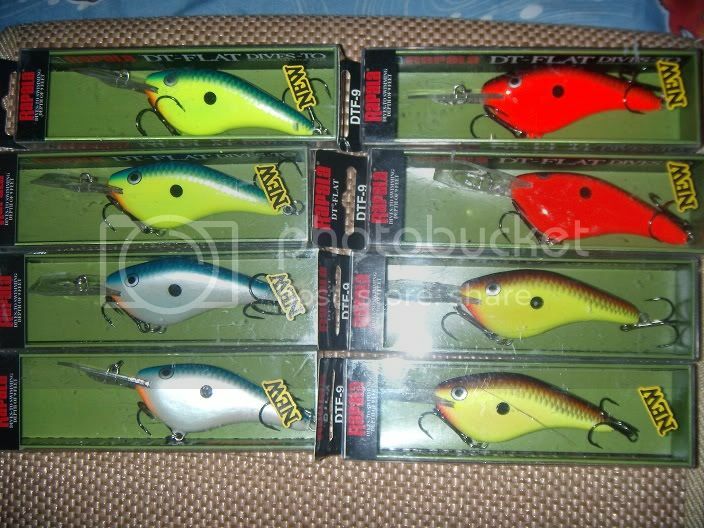 These will be used as sinkers on my Sabiki rig. 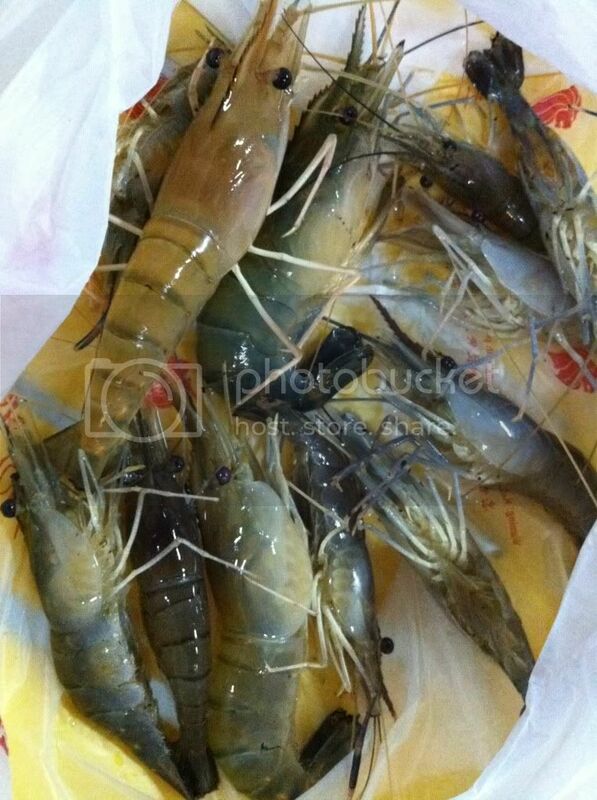 I saw Roger got a Chermin on his last trip to Sibu with rubber worms so I thought why not? 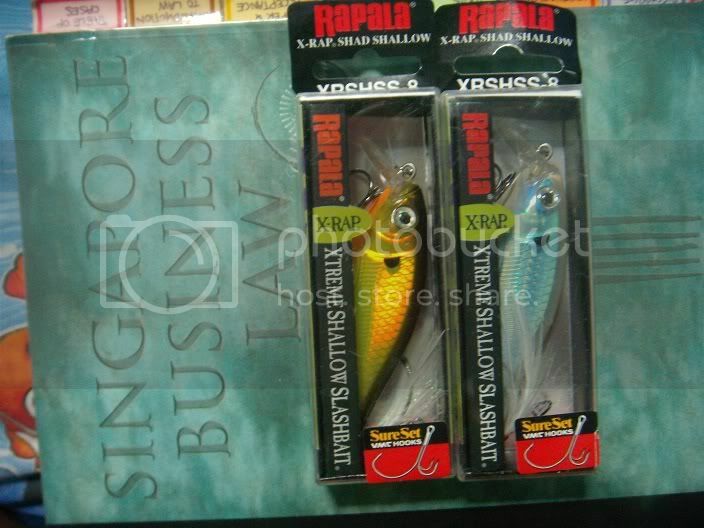 Since I have some time, I tied a few pcs that might hopefully get me some trevally species. 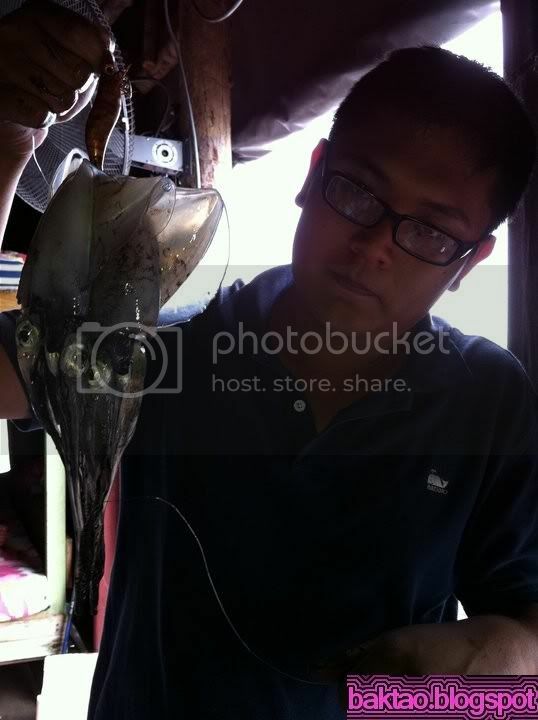 I prepared the usual Yamashita Squid Jigs too. 6 of us had ample space on a mini van meant for 10. There was no squeezing and bustling. We left early and hit the causeway at 6am! Everything went smoothly this time. No engine oil breakdown and no lost drivers. 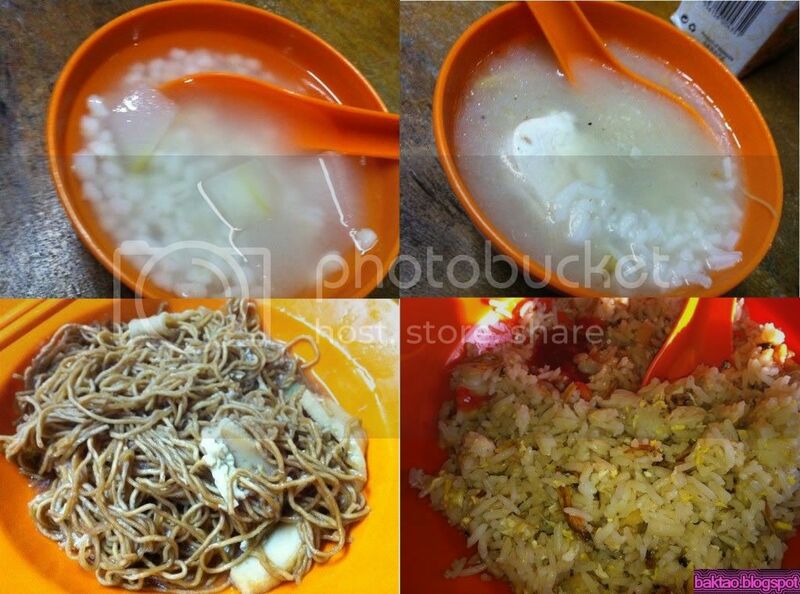 We even had time to eat at the famous Kiang Kee bakuteh stall! We spent easily close to 1 hour there having a good time talking about our past catches and how everyone has been this few months. It’s always great to meet up with old friends. The Bakuteh(pork tea) was delicious and was very herbal. It’s definitely better than what you have in beach road. When we reached the jetty, we saw it was not that crowded for a long weekend so we were an optimistic bunch. To add to the smooth transition for our journey, the call for Ah Ngan Kelong was on the moment we arrived! We boarded the boat right after we got our tickets. 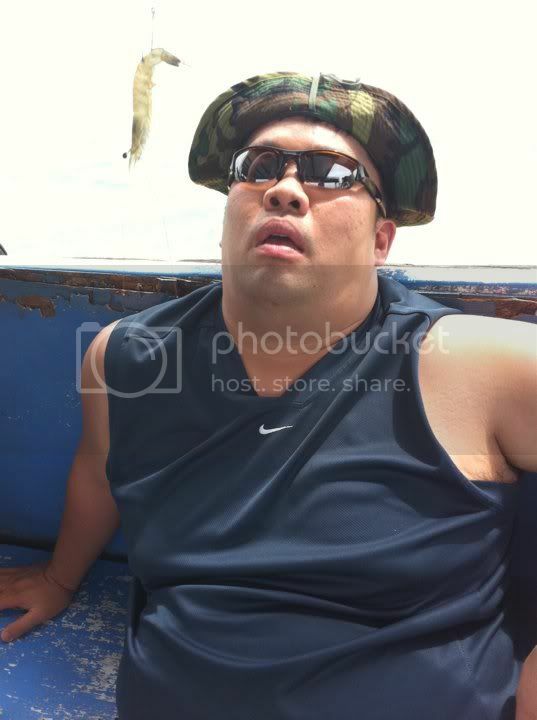 As usual, the boat was packed to the brim but this was standard and we had faith in Jaffar, Ah Ngan’s boat captain. No one was asked to wear the life jackets but hey with such calm seas, no one bothered. 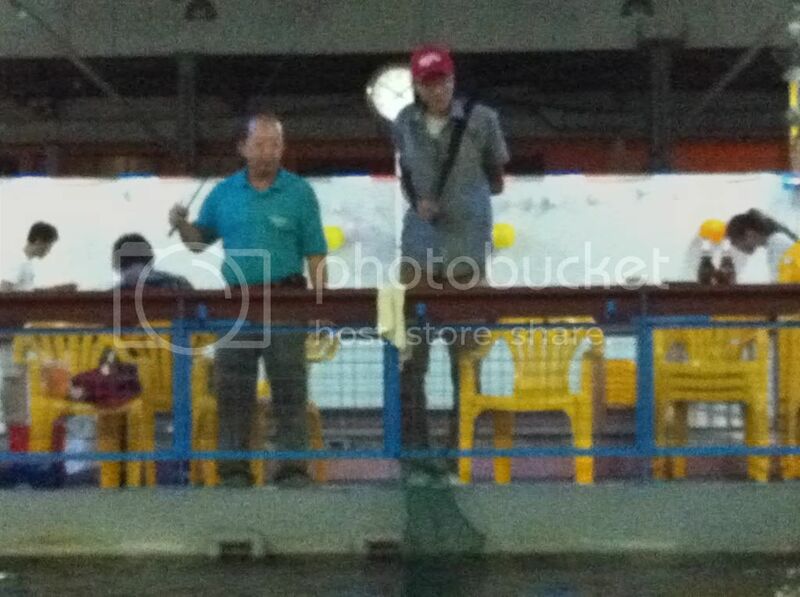 The boss of the kelong waved us good bye as we embarked on our quest for the big fishes! I was rather disappointed with the water clarity. 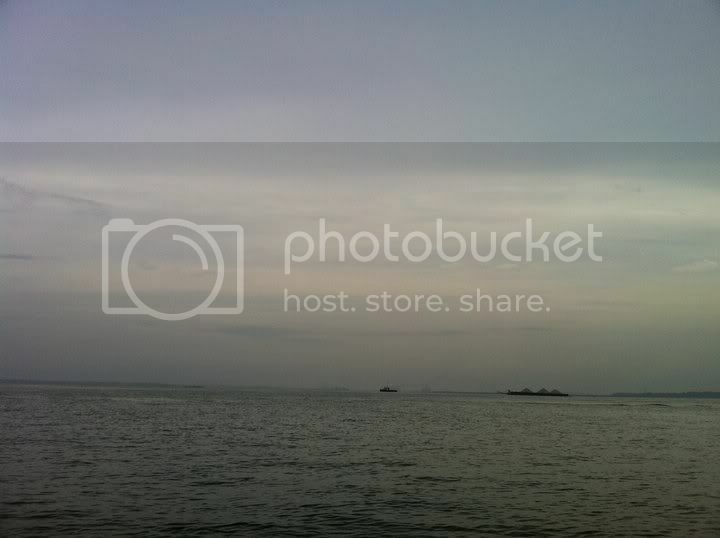 I expected it to be murky but when I reached the kelong, I got a shock. It was like as blue as a non monsoon day! This will mean a poor catch as fishes are more wary in clear water. We went off the jig for the Selar and it was an okay catch for some time. 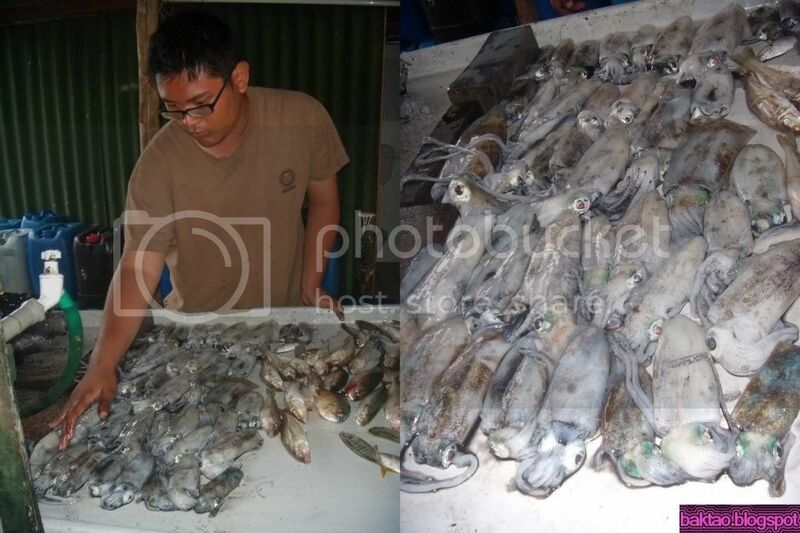 Some big selars were landed on sabiki rigs but the Todaks were crazy. If you didn’t bring them in fast, they will come in and there goes your whole rig. It was a sign that baitfish was scarce! 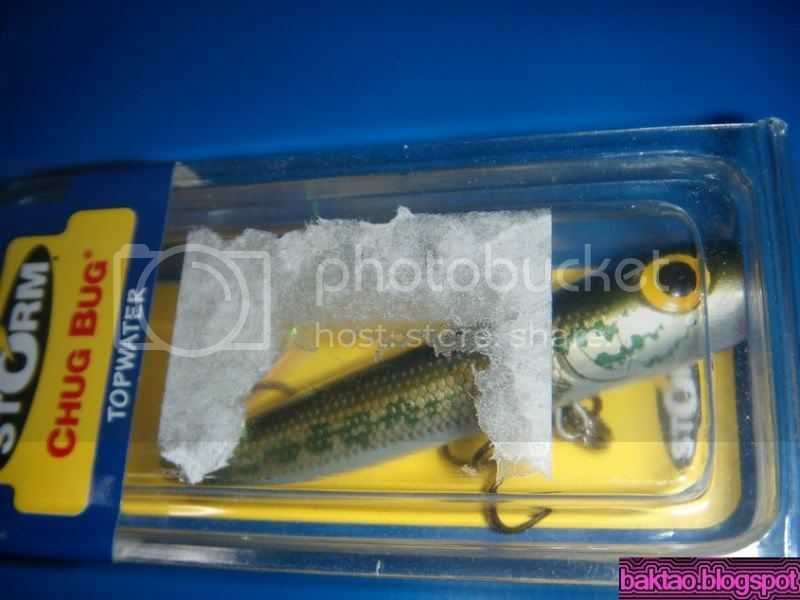 Can you imagine that every baitfish I threw back into the water, a Todak would come in and grab it? 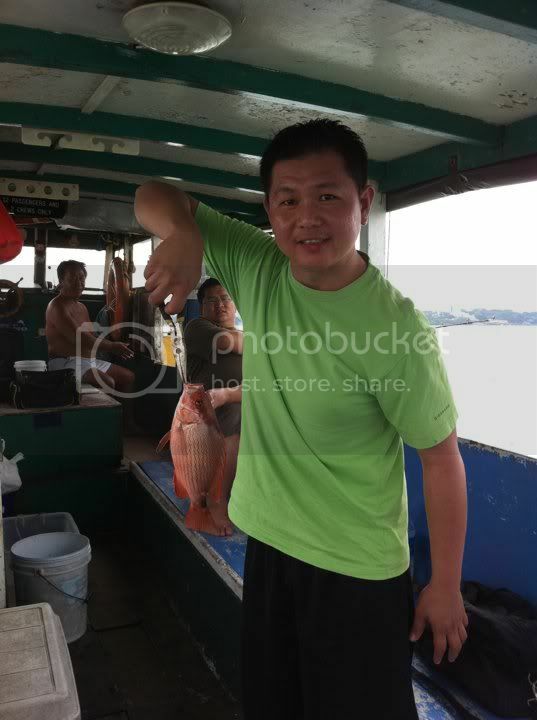 All of us didn’t care for lunch as we had too much bakuteh so we carried on fishing. Towards the mid day, I was having some luck with squids. 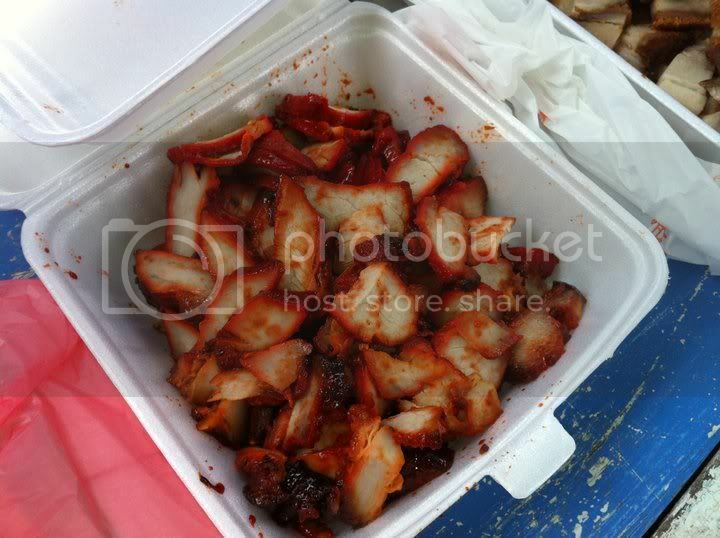 As usual, people gathered around me and tried to get the squids too. 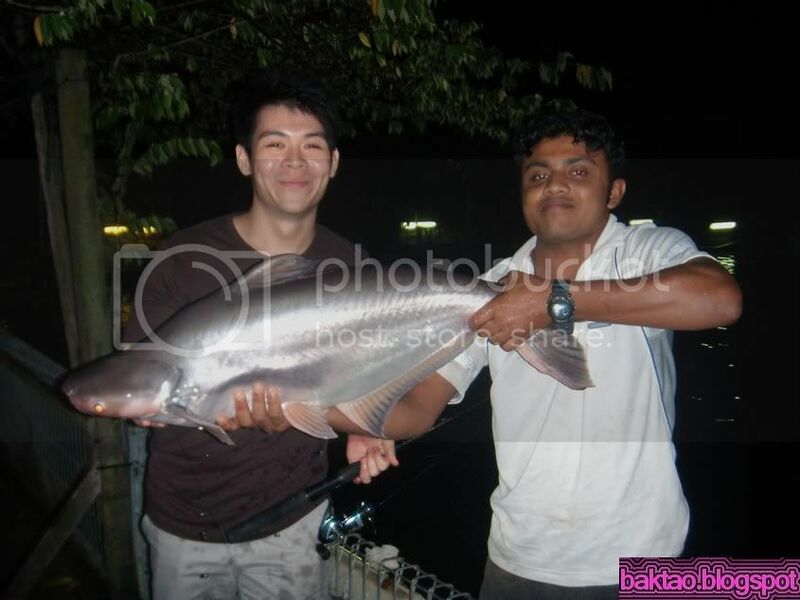 Tian got a big bite and we were quite excited as line was going out fast… A false Cobia turned up! 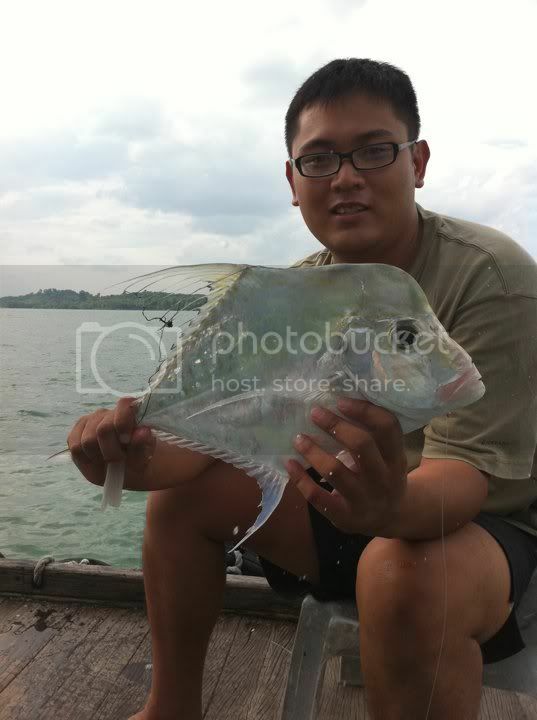 I had one on my noodle rod which almost burst me off belong the kelong stilts. Only after evenings was productive for squid. I slept most of the nights away. 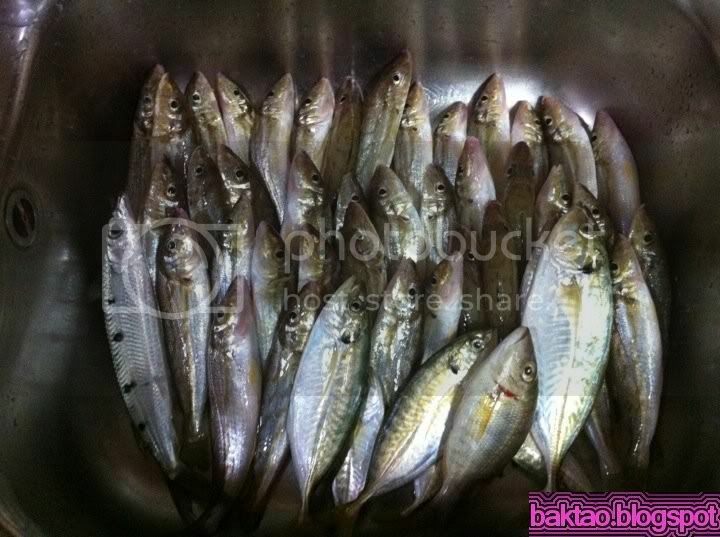 It was swa chiam(whiting) frenzy all day for the 2 days. 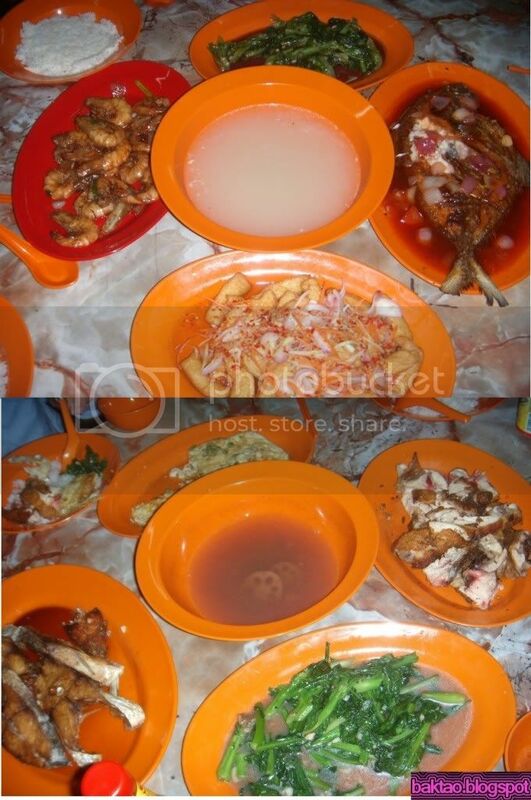 Everyone got some… I think the whole kelong easily upped at least a 100 swa chiam. 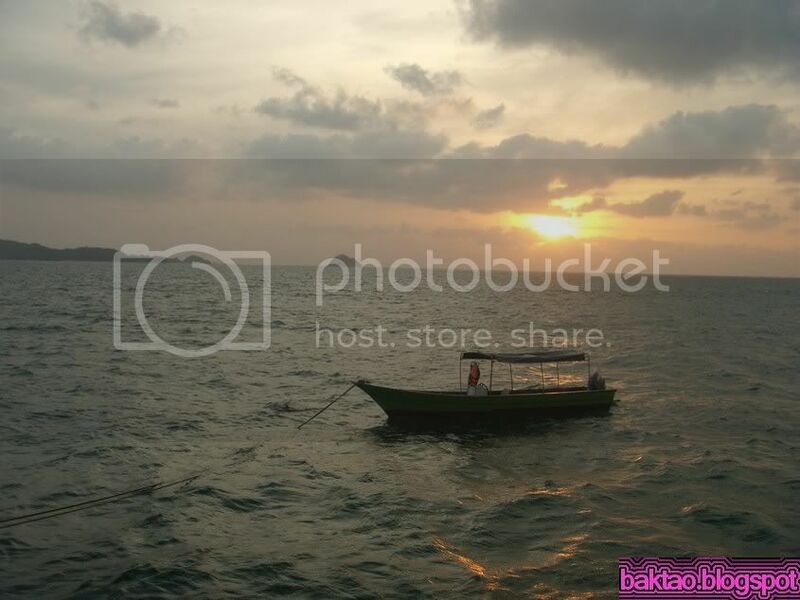 On Sunday afternoon, we heard from some locals that a boat carrying some Singaporeans from ah yew Kelong had capsized and there were 3 dead, 2 missing. We were a little worried here but we carried on fishing. 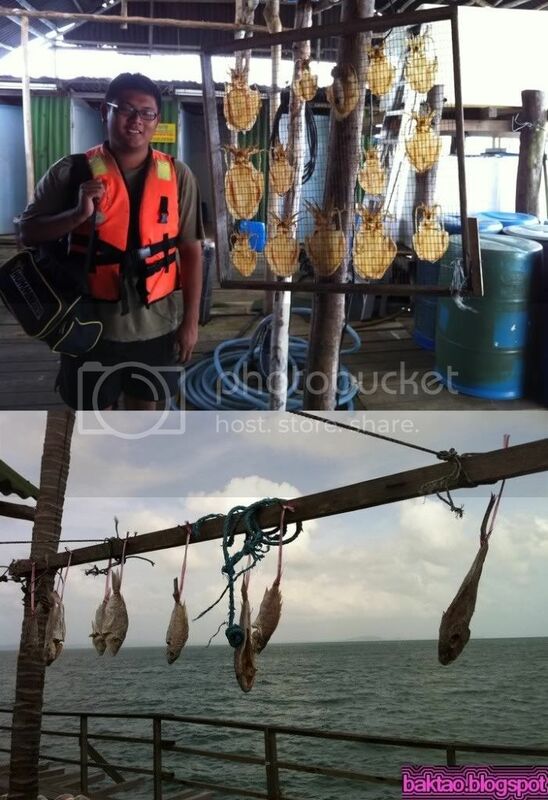 However, we were told to leave the kelong the next morning at 10am as all kelongs will be closed for investingation. Hard work was not my friend during this trip! I got up early for the last morning at around 6am and worked some jigs though. I was well rewarded and AG came to join me. She did well too! She broke her record for this trip! Well, here’s the total catch. 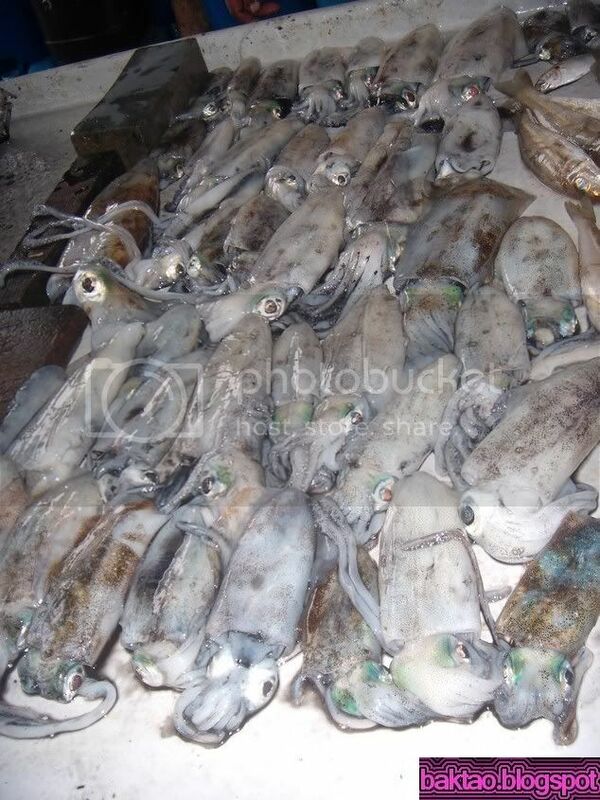 42 Squids of which 9 came from AG and the rest from me. 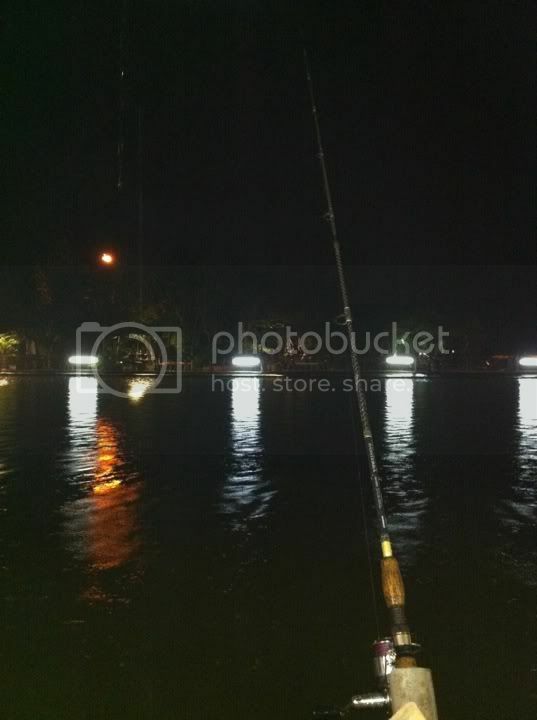 I had some fun with big eye and selar on Sim’s pole rod on the last night. I’m going to get a pole rod too! The ferry journey back was made extra safe with 12 passengers and life jackets issued. We reached the jetty and they were still trying to find missing people. A heart wrenching sight was upon was. 2 crying woman with a little kid was looking out onto the waters. Their family member was still missing. We left the jetty with a heavy heart and were fortunate we were not the ones that capsized. 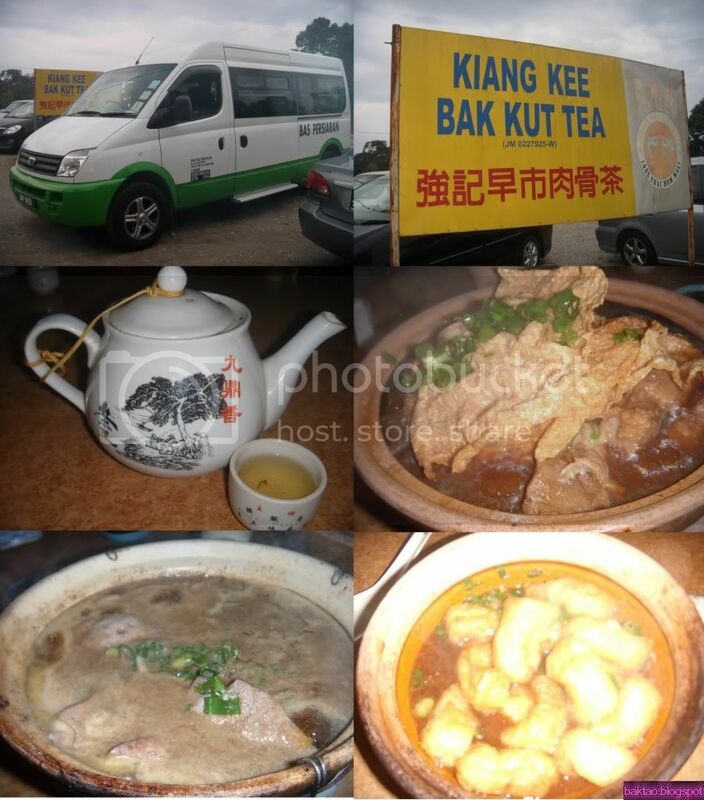 Sibu Kelongs will be closed for the time being pending some safety tweaks and investigation. Until further updates! 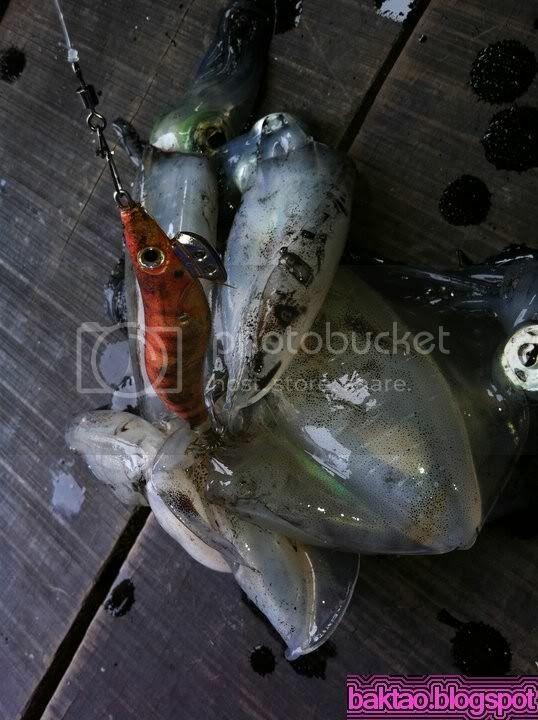 We had ample time so we went for some R n R.
Today we went down to Joe Tackle and Chop Hock Heng to get some Sabiki, sinkers, hooks and squid jigs for our coming Sibu Trip. I got a few Yamashita Warming Jacket Egi Oh from Joe's. They are pricey but i'm keen to try them out. 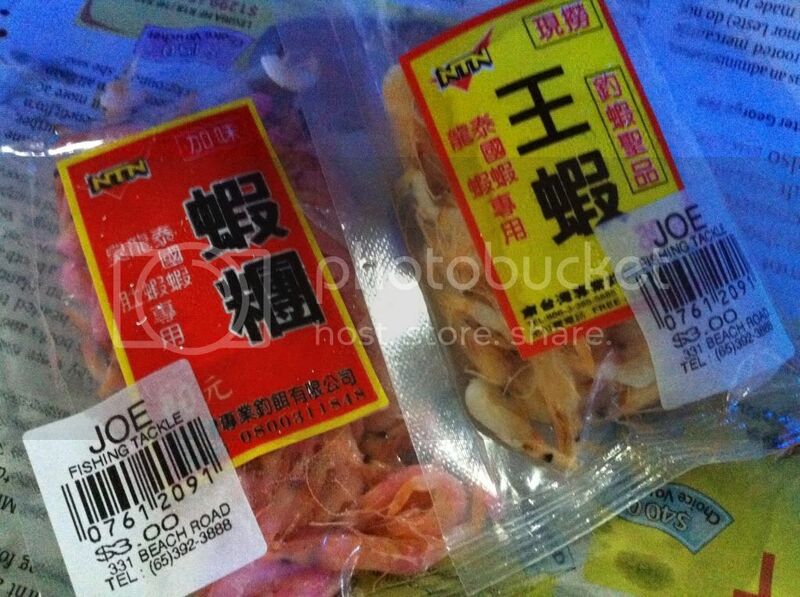 We also found out that Joe was going prawning later with his secret bait! 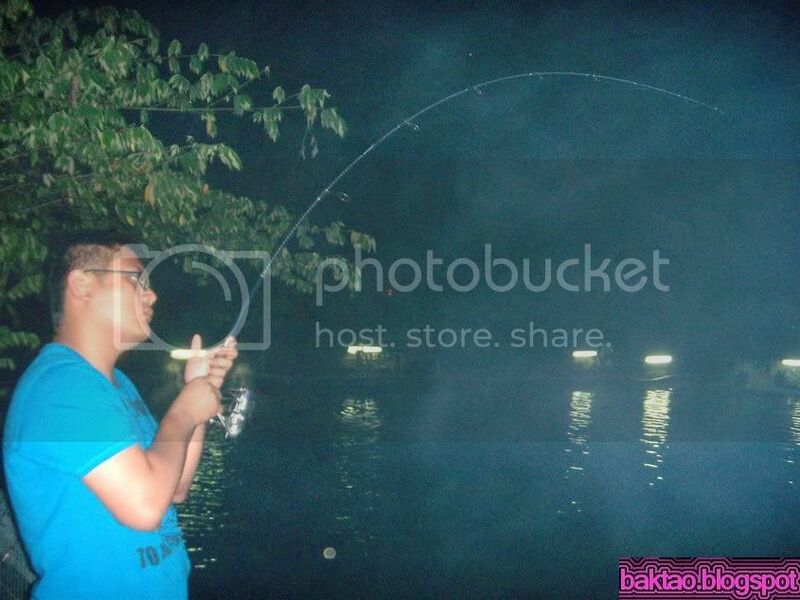 So we decided to tag along and test out the bait too! 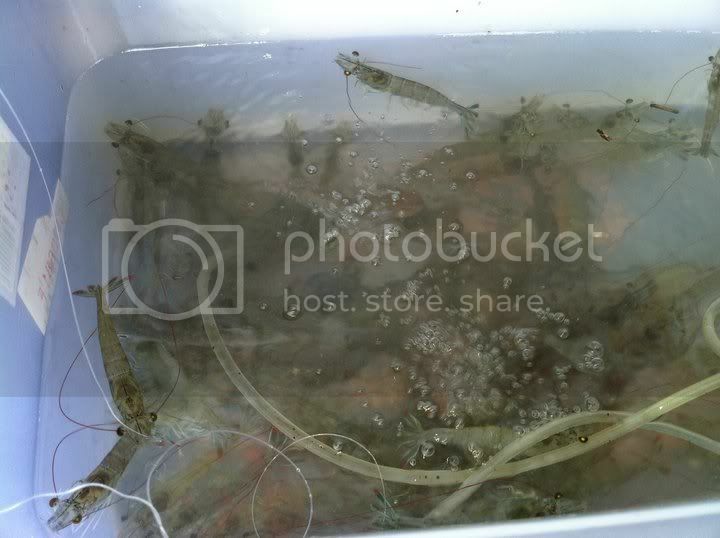 The bait was actually packed and preserved hey bio(krill shrimp). I found out it was too mushy and drops easily. However, it packs a real punch with the smell. There was a slight difference using this compared to the chicken liver bait. Then again, the prawns weren't biting that day. It seems to be getting worse by the day. 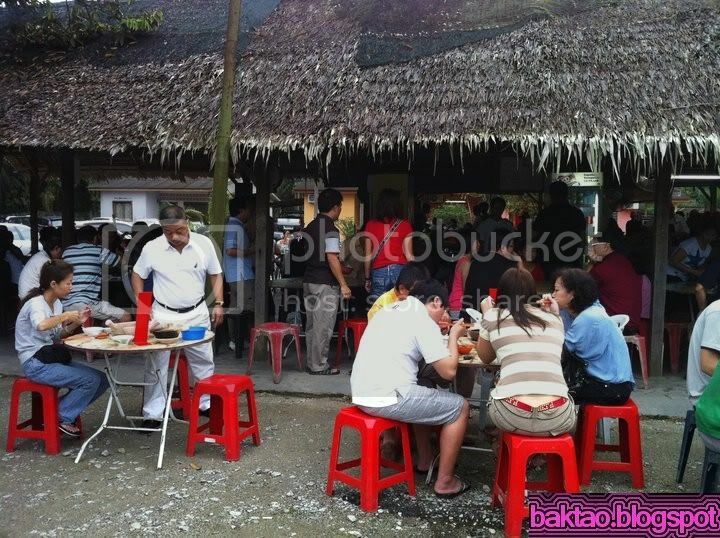 I still preferred the TTH(Tua Tao Hei) prawning outlet last time. 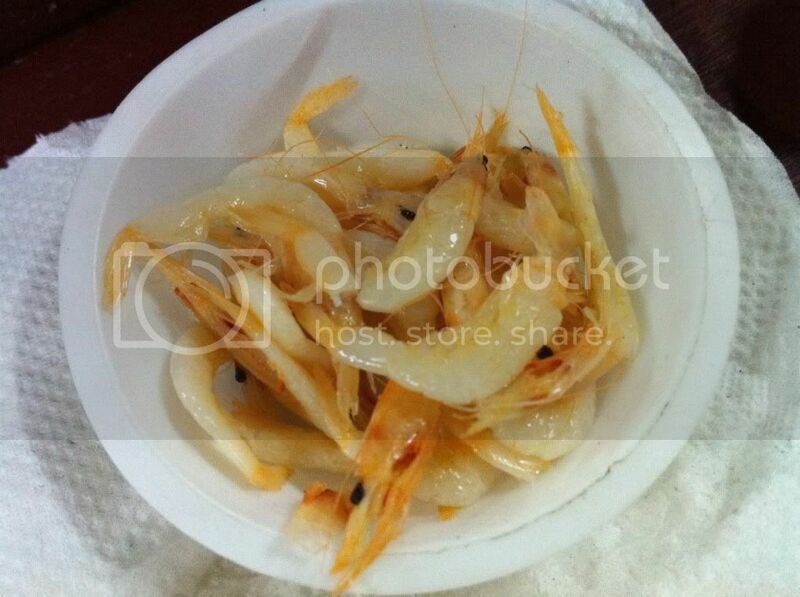 Their prawns were REALLY HUGE... their smallest prawns are what you call big prawns today! After watching recent episodes of Robson Green at work in Extreme Fishing, AG and I were itching for a bit of fishing. 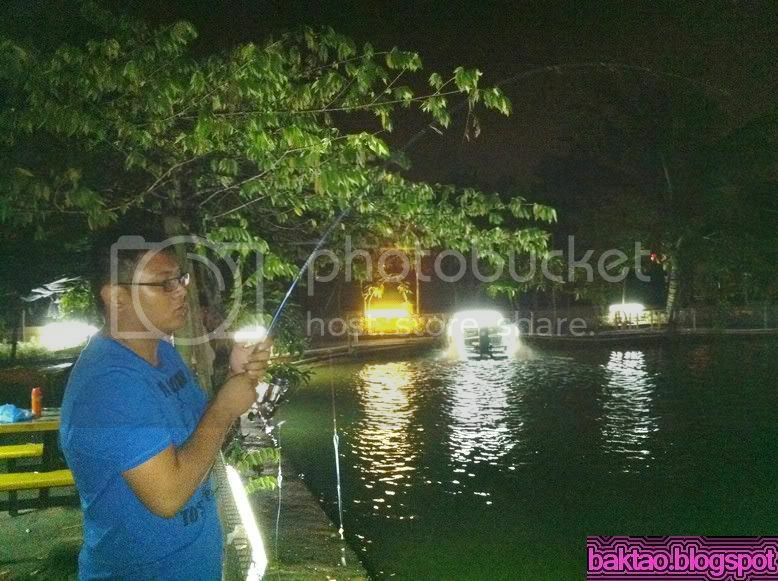 We chose Pasir Ris farmway 3 for its longer cheaper fishing hours compared to Punggol Pond. We had Tian tag along too. It was his first time there. 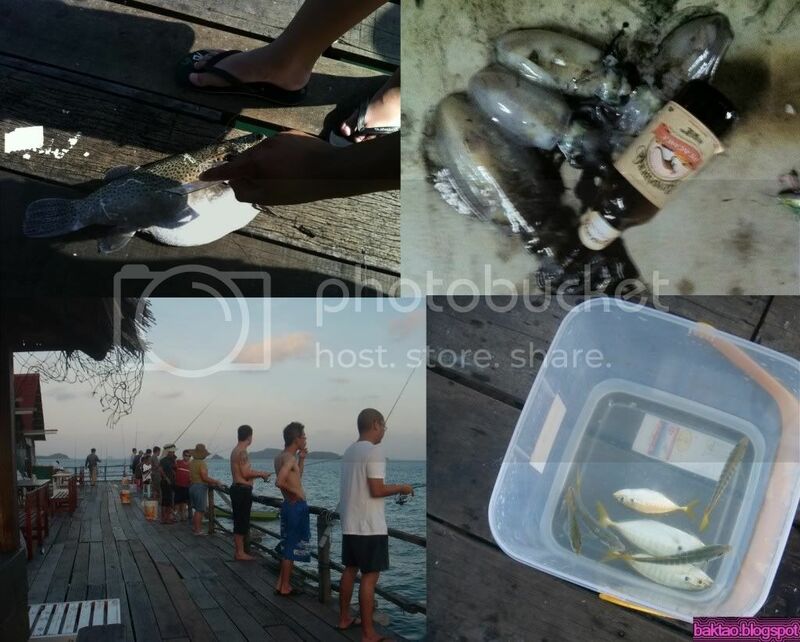 We got a variety of baits from chicken liver, cockles and my secret bait which was dead milkfish. When we reached the pond, we were mildly concerned as it was way too crowded. We made our way to a little corner and got ourselves started. The bite rates were slow in the night. It only picked up in sporadic moments when the rain ceased. 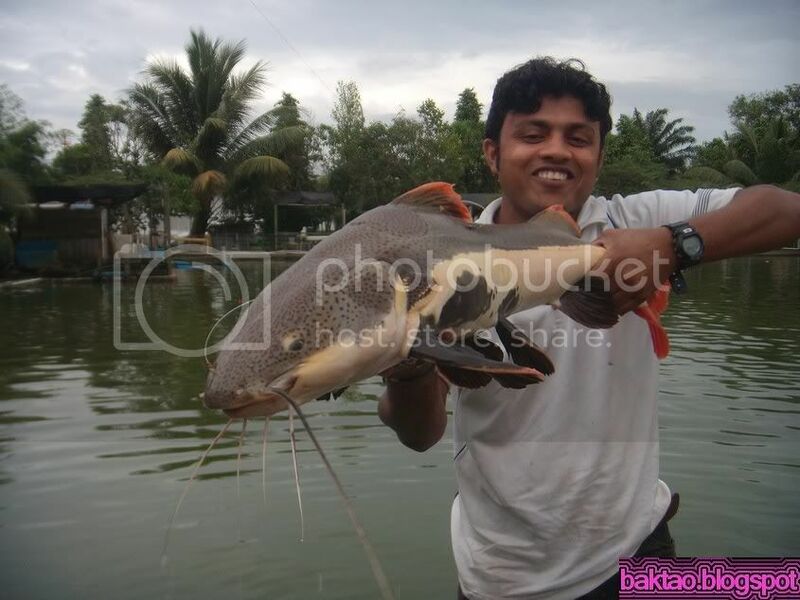 We managed to burst off a few Chao Phraya catfish though. I had one which took me for a ride. 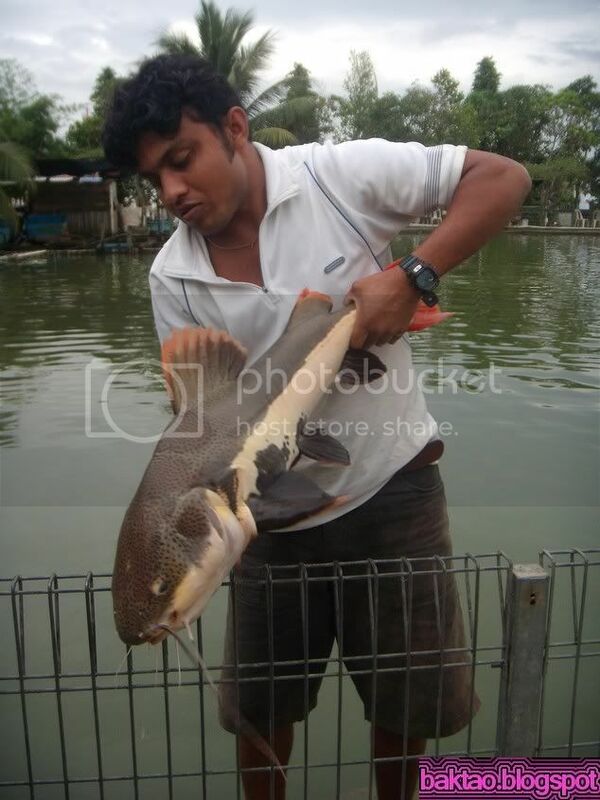 Tian managed to land a Patin. Good on him! AG had a RTC find her too. Just that this one took the bait beside the pump and went under the pump straightaway! Needless to say… it was lost. I cast my bait at the place where I got my first RTC and went to the loo. When I came back, I already saw my line slack and it was all the way below the pump. I reeled in fast and striked hard. There was a little tug and struggle but I was cut off instantly too… That was the end of the Red tails!!! 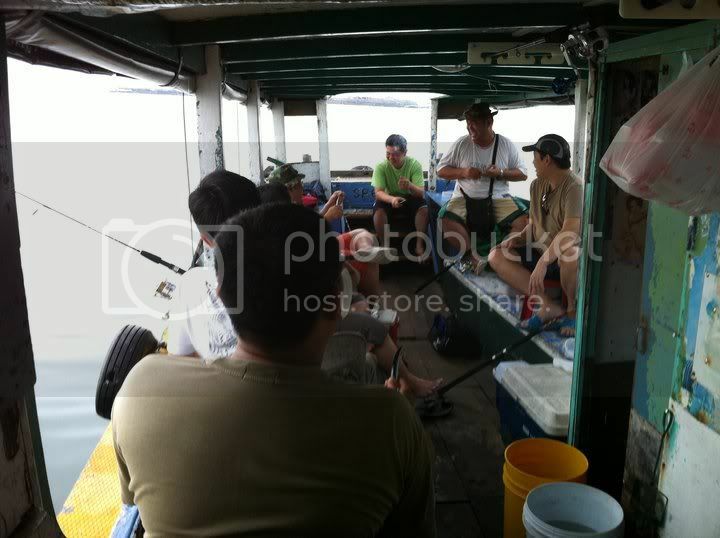 And so our stream of not so lucky fishing adventure continues… This time the crew is on a day trip to the sunny, calm and bountiful Changi seas. The downpour last night did not dampen our spirits. It can be said that we brought up a buffet to the boat! There were 8 of us so that boat was rocking its way along. 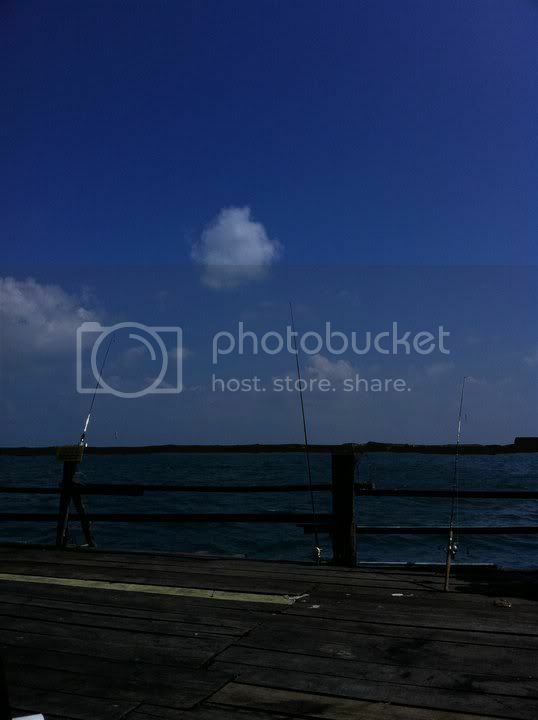 It was spring tide today and I wasn’t that sure about the quantity of fishes landed today. 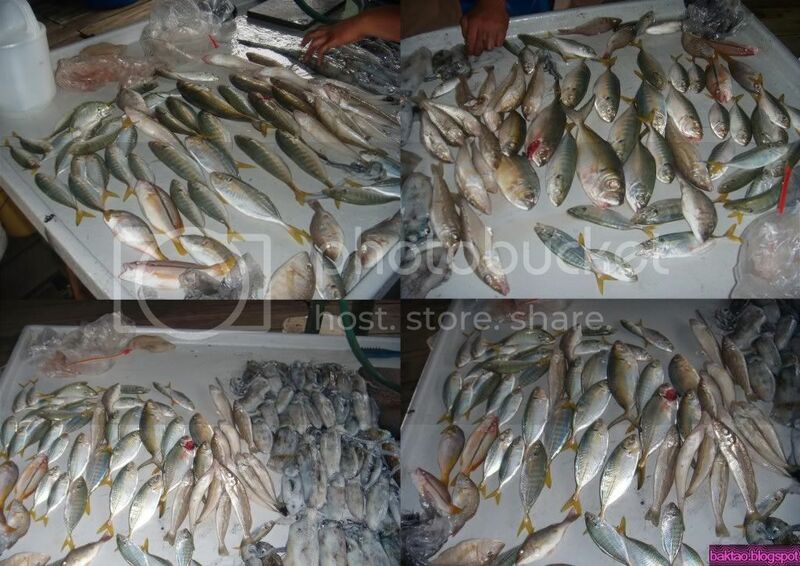 Spring tides usually bring about fishes like the Diamond Trevally and Giant Herring in these waters. Captain Chong ventured all the way out to the CNB area to drift for the DTs. We spent quite a lot of time there but no hits! We went near to shore around lunch time at a new spot which was supposedly hot. We were drifting along some pontoons that were marooned at the beach. 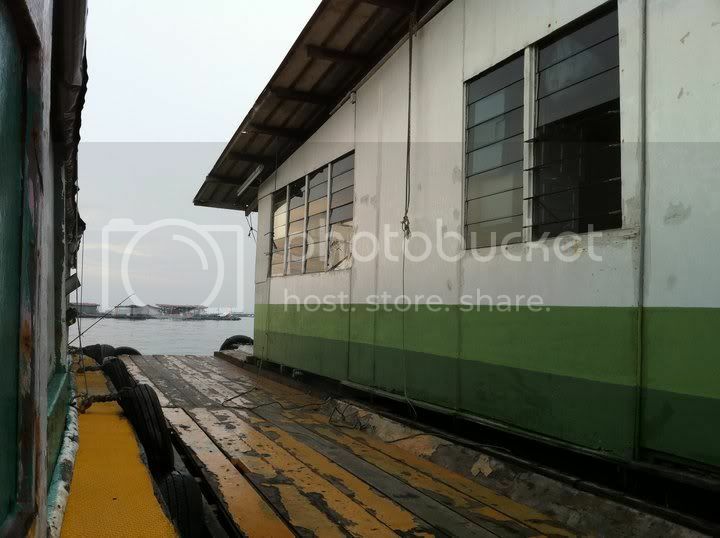 The area around the pontoons was extremely rocky. I got a mini grouper by bouncing off those rocks. The fish were just below the pontoon. Nothing much yielded though. 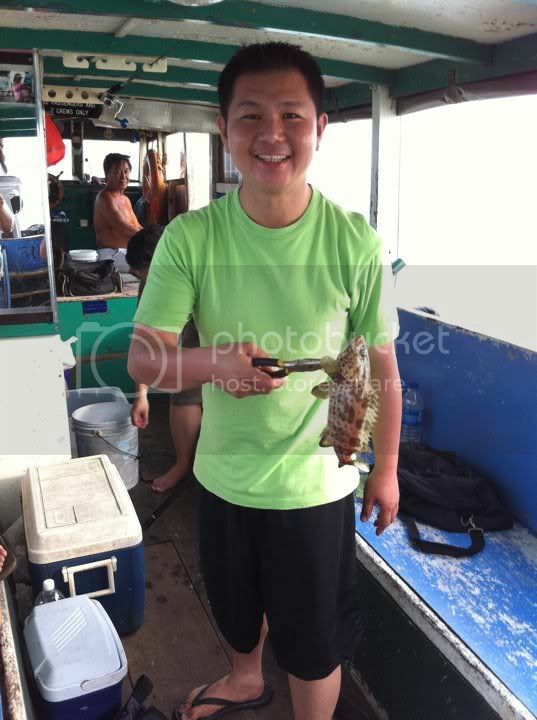 Everyone could not believe that it was already 3pm and only 1 small grouper had been landed. The weather was hot and sunny. I felt it made the water bad because it was already quite dirty due to the freshwater runoff last night. 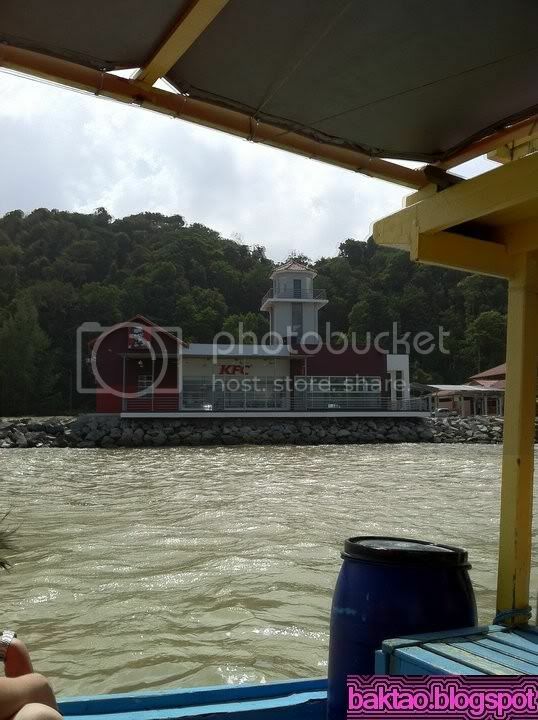 At 4pm, we began drifting near Ubin Chek Jawa. Giant herrings were rife here. Spring tides usually promised them. In fact, there were a few landed yesterday as pointed out by Chong. 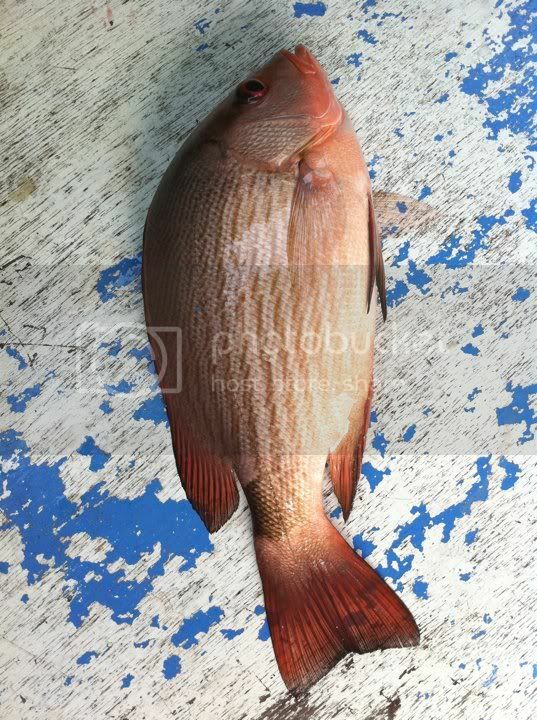 At another day, the haul was 12 White Threadfins. It surfaced… gleaming and beaming… And there you have it. Another confirmation that DTs feed aggressively during Spring tides. 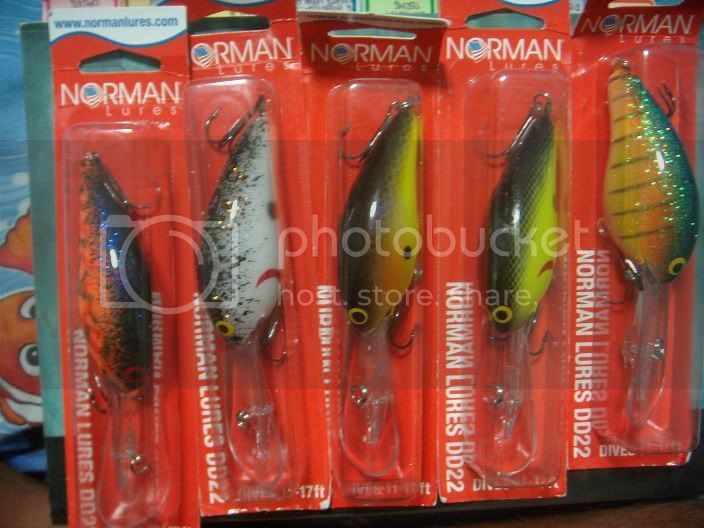 Hi everyone, i've got limited amounts of new lures that i brought in but am now clearing due to too much lures. 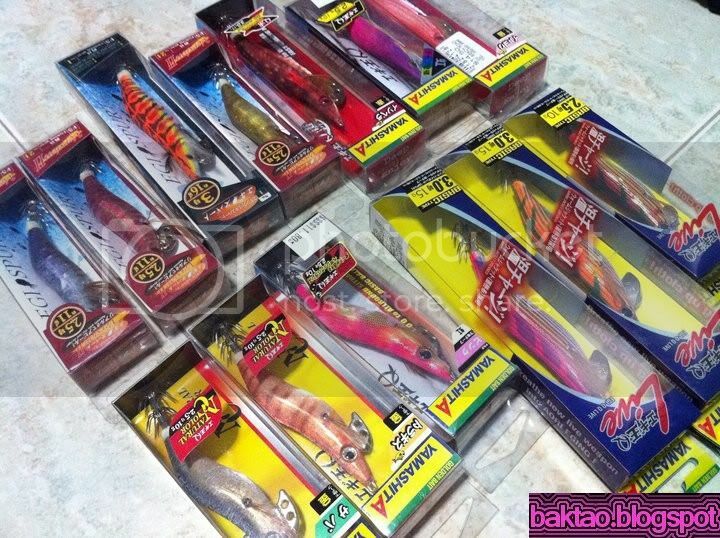 Get them for your bf/hubby that loves lure fishing now! Postage can be done on case by case basis if not local pickup at certain days at Bukit Panjang(After 615pm), Yishun Mrt(545pm) or Dhoby Ghaut Mrt(6.15pm) after office hrs is fine. NORMAN DD 22 Deep Divers. Great for Groupers. 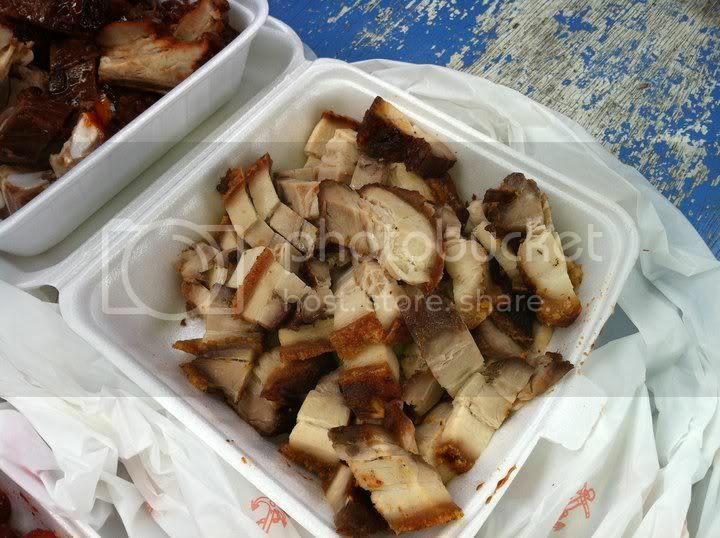 Cant find in SGD. Buy all at $14 per pc. 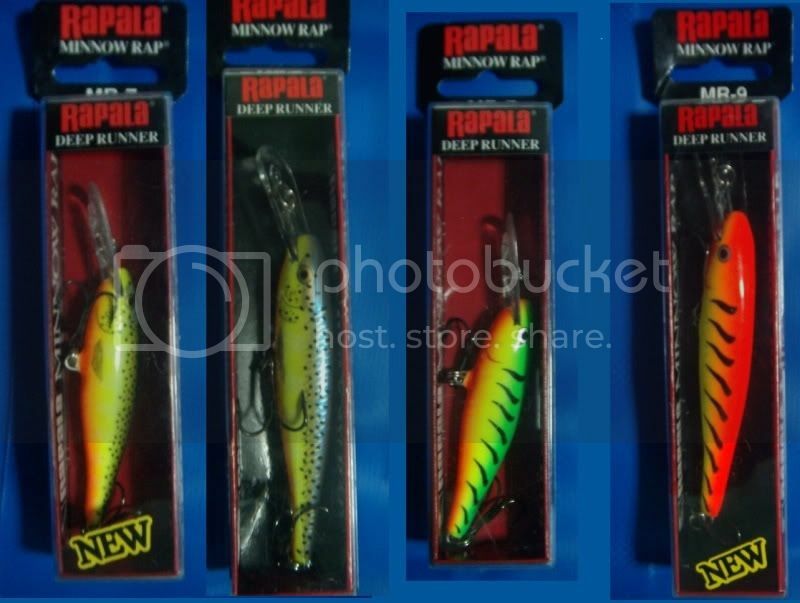 Angler works minnows. 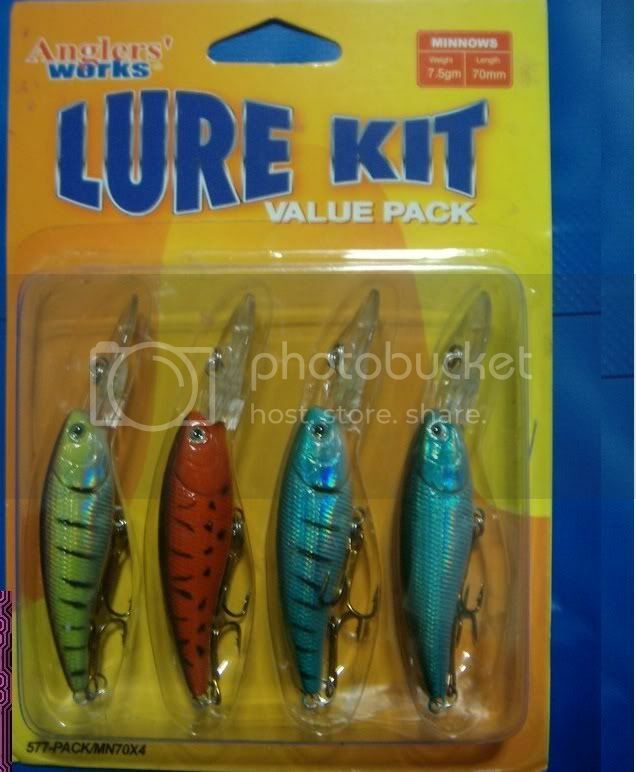 7.5g/70mm per lure. Sold as a set only. Only ONE SET avail. Storm Topwater Rattlin Chug Bug CB106 2 1/2"
$9.20 per pc for 2 3/4"
$9.50 per pc for 1 1/2"